Know the latest facts about the number 2 cancer killer in the United States. Assess your risks. Know your screening options. Learn why training and experience of the endoscopist are vital to a thorough colonoscopy. Watch a video. Listen to a Podcast. Get the answers to your most pressing colonoscopy questions. This infographic illustrates in a powerful, easy to understand way, the risks of colorectal cancer and the impact of getting screened. Don't take a gamble on your health. Not sure what screening test is right for you? Dr. Mark B. Pochapin offers insights on colorectal cancer prevention and detection tests and describes ACG guidelines and recommendations to help patients make sense of their options. Colorectal cancer is the third leading cause of cancer-related deaths in the United States when men and women are considered separately, and the second leading cause when both sexes are combined. It is expected to cause about 51,000 deaths during 2019. Colonoscopy is a procedure which enables a physician (usually a gastroenterologist) to directly image and examine the entire colon. It is effective in the diagnosis and/or evaluation of various GI disorders (e.g. colon polyps, colon cancer, diverticulosis, inflammatory bowel disease, bleeding, change in bowel habits, abdominal pain, obstruction and abnormal x-rays or CT scans) as well as in providing therapy (for example, removal of polyps or control of bleeding). It is also used for screening for colon cancer. A key advantage of this technique is that it allows both imaging of abnormal findings and also therapy or removal of these lesions during the same examination. This procedure is particularly helpful for identification and removal of precancerous polyps. What is my risk of developing colon cancer if I live in the United States? Your lifetime risk (defined as life to 85 years old) is approximately 6% (male or female). Your risk is roughly doubled if one (1) first degree relative (parent, sibling or child) had colon cancer or polyps after age 50, and is higher if the cancer or polyps were diagnosed at a younger age or if more members of your family are affected. Certain inherited disorders, for example, polyposis syndromes and hereditary non-polyposis colorectal cancer, can increase your risk of developing colon cancer, but those are rare. Other important risk factors include obesity, cigarette smoking, inflammatory conditions in the colon such as Crohn’s, colitis and ulcerative colitis, and excessive alcohol consumption. Your doctor is in the best position to discuss whether your personal or family history suggests one of those conditions. Has colonoscopy been shown to be effective in preventing cancer of the colon and saving lives? Yes. Colonoscopy accomplishes this by detecting and removing polyps, and detecting early cancers. Recent data show that both the number of new cases of colon cancer (incidence) and deaths from the disease are decreased when colonoscopy is performed according to established guidelines (see Question 11). If colonoscopy is so effective at detecting polyps, colon cancer and saving lives, why aren't more people having it? The most common reason patients cite for not getting a colonoscopy is that their doctor did not discuss it with them. The next most common reason is fear or avoidance of the preparation (“prep”), which involves taking a laxative which causes temporary diarrhea for several hours. In addition, many people are simply unaware that they need colon cancer screening. What is the "prep" for colonoscopy like? How many different preps are out there? This is an important obstacle in the eyes of many patients to getting a colonoscopy, but it need not be! There are a variety of preparation methods for colonoscopy ranging from liquids (of varying quantity) with or without enemas, to pills, which rid your colon of feces. A clean colon is essential to allow for a careful examination for polyps or other abnormalities. Your doctor can discuss and prescribe the most appropriate preparation method for you, taking into account various factors such as your age, personal preferences, kidney function and physical stamina. The most popular preparation used for colonoscopy involves drinking a volume of solution of polyethylene glycol (PEG). This solution causes a diarrhea that effectively rids the colon of its contents. Various fruit flavors are available and patients have several hours to drink it. Usually a patient will have clear liquids the day of the preparation (day before the colonoscopy) and then take half of the prep in the late afternoon or that evening. The other half is done approximately 5 hours before coming in for the test the following day. Patients are encouraged to drink a lot of fluids and to continue clear liquids up until 2 hours before their scheduled procedure. Before going to bed, many doctors also prescribe a laxative pill (e.g. Dulcolax®) that helps with the evacuation process. Smaller volumes of solution (e.g. MoviPrep®, HalfLytely®) or pill preparations (e.g. OsmoPrep®) have also recently become available with similarly good outcomes to PEG for people who dread the thought of large volumes of liquid. Another preparation involves a phosphate solution (called Fleet® Phospho-soda) which consists of two (2) rounds of phosphate rich liquid of 45ml each the night before and day of the exam. It is essential to drink at least 2 quarts of water with these preps to replace losses. Alternatively, a phosphate tablet preparation of about 30 pills is available and is also very effective for colon cleansing and is preferred by some patients. This preparation also requires that you drink at least 2 quarts of water to replace losses. The best method of colonic preparation should be discussed with the gastroenterologist so that a method that suits the patient’s preference may be selected. Medicare (and most third party payers) will pay for colonoscopy for colon cancer screening, thanks to the hard work of advocacy groups and the efforts of national organizations such as the American College of Gastroenterology (ACG). Regrettably, a recent study showed a low compliance rate for screening (less than 30%) among Medicare patients. If you have no colorectal symptoms, family history of colon cancer, polyps or inflammatory bowel disease you should have your first exam at age 50 whether you are a man or a woman since colon cancer affects both EQUALLY! Recent evidence suggests that African Americans should begin screening earlier at the age of 45. If one or more first degree relative (parent, sibling or child) has had a precancerous polyp or colon cancer, the general guideline is to begin colon cancer screening 10 years younger than the youngest age of the family member with colon cancer, or age 40, whichever is younger. There are additional guidelines for suspected or confirmed rare syndromes, and you should discuss these options with your doctor. 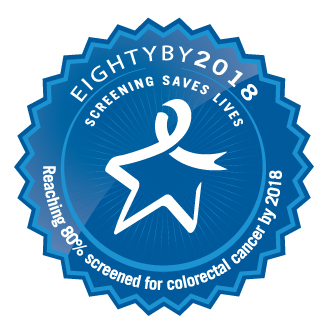 For patients with ulcerative colitis involving the entire colon and patients with Crohn’s disease, screening for colon cancer should begin 8 – 10 years after the initial diagnosis is made. Why is quality important in colonoscopy? Although colonoscopy has been available in clinical practice for more than 40 years, only in the past 15 years has awareness developed that the success of colonoscopy in preventing colorectal cancer and minimizing complications is very dependent on the skill and competence of the colonoscopist. Colonoscopists differ substantially in the number of precancerous polyps they detect during colonoscopy and in how often they perform colonoscopy in response to both normal and abnormal findings. Awareness of these differences led the U.S. Multisociety Task Force on Colorectal Cancer in 2002, as well as a joint task force of experts from the American College of Gastroenterology and American Society of Gastrointestinal Endoscopy in 2006, to propose quality indicators that colonoscopists can use to measure how effectively and safely they perform colonoscopy. Obviously, patients have an interest in undergoing the most effective and safe colonoscopy possible, and achieving these goals requires a colonoscopist who is committed to high quality. Does the quality of examination differ among colonoscopists from different specialties? Studies have shown average performance of colonoscopy by gastroenterologists to be superior to that of primary care physicians in three different areas of colonoscopy performance. First, three population-based studies have found that gastroenterologists performing colonoscopy are less likely to miss colorectal cancer than are primary care physicians who perform colonoscopy. This may reflect the more extensive training that gastroenterologists receive in this procedure and their higher volumes of colonoscopy in practice. Second, gastroenterologists’ patients are less likely to incur serious complications during colonoscopy, such as perforation or making a hole in the colon, compared to primary care physicians. Third, gastroenterologists are less likely than both primary care physicians and general surgeons to perform colonoscopy at intervals that are considered too short according to current guidelines. Whether this difference reflects a lack of confidence among primary care physicians and general surgeons in the quality of their colonoscopy or lack of awareness of current guidelines is unknown. Is there variation in quality of performance among members of the same specialty? Even though gastroenterologists have on average the highest level of training and their examinations have been shown on average to be superior to primary care physicians, there is considerable variation among gastroenterologists in their detection rates of precancerous polyps. Therefore, it is essential that every colonoscopist, regardless of specialty, makes measurements to establish that their examinations are effective. It is very reasonable and appropriate for patients to ask questions of their colonoscopist about whether quality measurements are being made and their results. How can I be sure that I will receive a careful examination of my colon? The measurement that best reflects how carefully colonoscopy is performed is a doctor’s "adenoma detection rate." This rate is defined as the percentage of patients age 50 and older undergoing screening colonoscopy, who have one or more precancerous polyps detected. This rate should be at least 25% in men and 15% in women. A secondary measure of careful examination is that doctors should have an average withdrawal time of at least six minutes. The withdrawal time is the time it takes to remove the scope from the colon. This interval is important because this is the phase of colonoscopy when most doctors actually examine the colon systematically for polyps. It is perfectly reasonable to expect doctors to have measured their adenoma detection rate and to record their withdrawal time. It is also reasonable to ask for a copy of the colonoscopy report that documents that the colonoscope was advanced to the very beginning of the colon and that the landmarks of that portion of the colon (called the "cecum") have been documented by notation in the report and by photography. Why is bowel preparation for colonoscopy important, and what can I do to make sure my colon is thoroughly cleansed for the procedure? Colonoscopy is a video examination of the colon. The video camera and the colonoscope, like any other video camera, cannot see through solids. Therefore, the colon must be thoroughly cleansed to provide the doctor the best opportunity possible for a thorough and detailed examination.Be sure to pick up and read your written bowel preparation instructions at least several days before your colonoscopy. Go over the instructions and make sure you have all of the materials needed to complete the preparation.The most effective bowel preparations involve "split" dosing of the laxatives, in which half of the preparation is taken on the morning of the examination, usually 4 to 5 hours before the time of the scheduled colonoscopy, and completed at least 2 to 3 hours before that time. If you are scheduled at 7 or 8 in the morning, this will mean getting up very early to take the second half of the preparation. If the instructions call for split dosing, do not alter the timing of the doses. It is worth the inconvenience of getting up in the middle of the night to make sure that you have a very effective preparation. The timing of the second dose in relationship to the colonoscopy is critical. If too long an interval is allowed between the end of the second half of the preparation and the timing of the colonoscopy, mucus and secretions will come out of the small intestine and stick to the cecum and right colon. To ensure an effective and safe colonoscopic examination, find a well-trained colonoscopist who is committed to making quality measurements. It is fair to ask the colonoscopist to be sure to do a slow and careful examination and to provide a copy of the report that documents and photographs the complete extent of examination. Take the bowel preparation instructions seriously. Pick up the written instructions early, read them early, and follow them carefully. When colonoscopy is done carefully and with an effective preparation, it is a very powerful cancer prevention technique. Is the doctor performing your colonoscopy a Gastroenterologist? 1 Rex DK, Rahmani E, Haseman JH, et al. Relative sensitivity of colonoscopy and barium enema. What training in colonoscopy did the doctor receive? Proper training in colonoscopy is necessary not only to increase the chance that the procedure can be completed and any necessary treatments applied, but also to be sure that abnormal results can be properly interpreted. The American Society for Gastrointestinal Endoscopy recommends that persons performing colonoscopy complete a fellowship program in gastroenterology or receive training in colonoscopy during a surgical residency. How many colonoscopies has the doctor performed? How many perforations has the doctor had? Many Gastroenterologists have performed many thousands of colonoscopies. A colonoscopist should know the rate at which their procedures have been associated with a perforation or making a hole in the colon. This rate should certainly be below 1 in 500 examinations and many experts have rates of perforation well below 1 in 1000. How often does your doctor complete the colonoscopy? Experienced colonoscopists reach the very beginning of the large intestine (the cecum) in more than 90% of cases and in more than 95% of patients who are undergoing screening. Screening is the process of checking people who have no symptoms for colon polyps and cancer. Can the doctor remove polyps from your colon? Persons performing colonoscopy must be trained in the removal of polyps. Although even Gastroenterologists may refer a patient with a large polyp to a special expert in the removal of polyps, a trained colonoscopist can remove the overwhelming majority of routine polyps. A Gastroenterologist is a physician with dedicated training management of diseases of the gastrointestinal tract and liver. Gastroenterologists also receive dedicated training in endoscopy (upper endoscopy, sigmoidoscopy, and colonoscopy) by expert instructors. Endoscopy is the use of narrow, flexible lighted tubes with built-in video cameras, to visualize the inside of the intestinal tract. This specialized training includes detailed and intensive study of how and when to perform endoscopy, optimal methods to complete these tests safely and effectively, and the use of sedating medications to ensure the comfort and safety of patients. Gastroenterology trainees also learn how to perform advanced endoscopic procedures such as polypectomy (removalof colon polyps), esophageal and intestinal dilation (stretching of narrowed areas), and hemostasis (injection or cautery to stop bleeding). Importantly, Gastroenterologists learn how to properly interpret the findings and biopsy results of these studies in order to make appropriate recommendations to treat conditions and/or prevent cancer. Some Gastroenterologists also receive directed training in advanced procedures using endoscopes such as endoscopic biliary examination (endoscopic retrograde cholangiopancreatography or ERCP), removal of tumors without surgery (endoscopic mucosal resection or EMR), placement of internal drainage tubes (stents) and endoscopic ultrasound (EUS). This provides them with the training necessary to non-surgically remove stones in the bile ducts, evaluate and treat tumors of the gastrointestinal tract and liver, and provide minimally invasive alternatives to surgery for some patients. The most critical emphasis during the training period is attention to detail and incorporation of their comprehensive knowledge of the entire gastrointestinal tract to provide the highest quality endoscopy and consultative services. The final product is a highly trained specialist with a unique combination of broad scientific knowledge, general Internal Medicine training, superior endoscopic skills and experience, and the ability to integrate these elements to provide optimal health care for patients. FACG, FACP — What do all the letters after your doctor's name mean? Some Gastroenterologists receive special recognition from national societies when they demonstrate extraordinary achievement in research, teaching, or other unique service to the field of Gastroenterology. The American College of Gastroenterology and the American College of Physicians designate such physicians as “Fellows” and the suffixes FACG and FACP are added to denote these honors. This means that these physicians have fulfilled the respective organizations’ rigorous requirements to gain this added distinction. ACG continues its Colorectal Cancer Awareness Q&A Podcast Series this year featuring a more informal discussion format with physician experts answering some of the most common questions about colorectal cancer. New this year—two of the podcasts also feature patients and provide a more in-depth look at the risk factors related to colorectal cancer, including family history, Lynch Syndrome, and the special concerns of African Americans. A third podcast helps make sense of conflicting media reports about the various screening options with the latest expert insight so you can gain a better understanding of the benefits and limitations of each test—and decide with your doctor which test is right for you or loved one. Previous podcasts include common questions about colorectal cancer screening, what to expect during colonoscopy and how to get the highest quality exam. Learn why colonoscopy is ACG’s preferred screening strategy, how to decipher fact from fiction when it comes to bowel preps, and more, from ACG physicians in these insightful audio Q&As. Vincent says, "Get the test before it's too late"
Purchase printed copies of this brochure here.